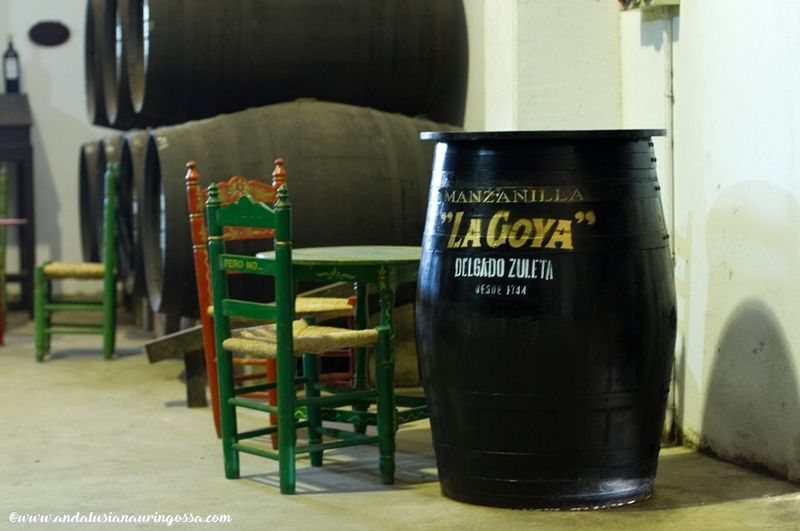 Sanlúcar de Barrameda is home to Manzanilla and an amazing destination for a sherry tourist. 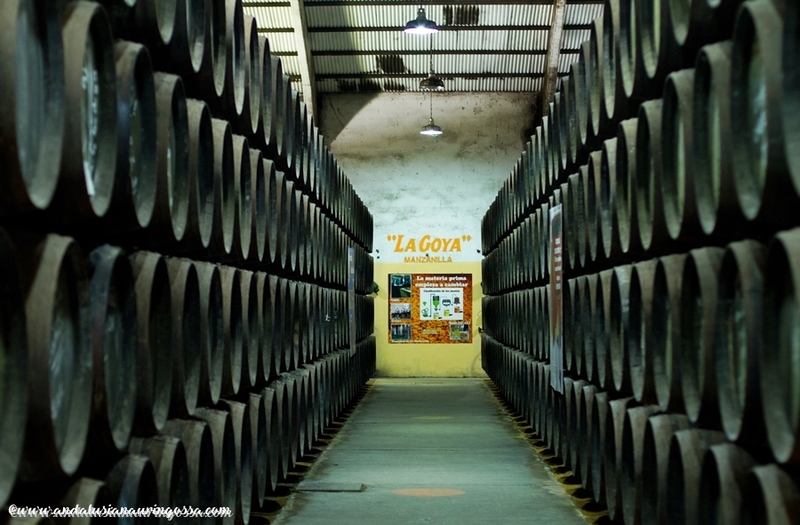 So far the blog's tour of Andalusian sherry bodegas has taken you to Jerez and El Puerto de Santa María. The last stop is the most Southwestern corner of Marco de Jerez: Sanlúcar de Barrameda. While it might be the last of the stops, it sure ain't the least. This is a place that literally lives, drinks and breathes sherry. This becomes evident as soon as you arrive: from the hilltops that cradle the town you're immediately greeted by the gigantic letters of an advert for Barbadillo's sherry bodega. 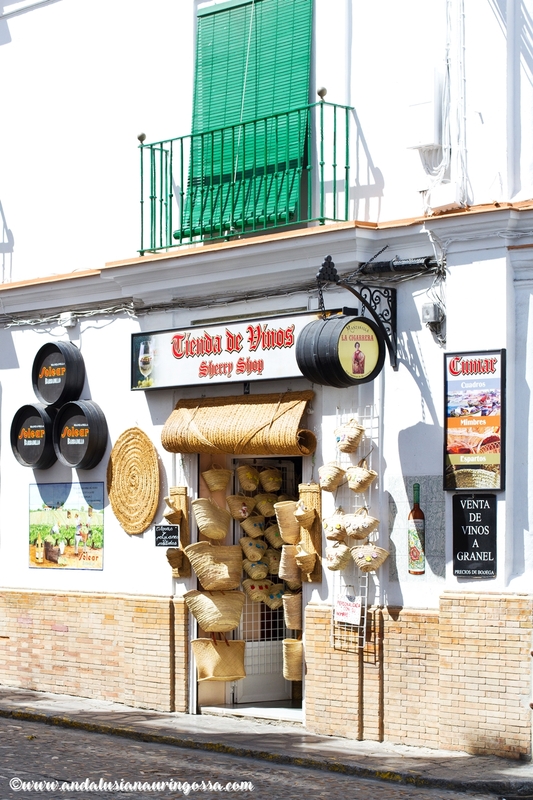 Numerous sherry bars and shops also make sure the special nature of Sanlúcar won't easily be forgotten. 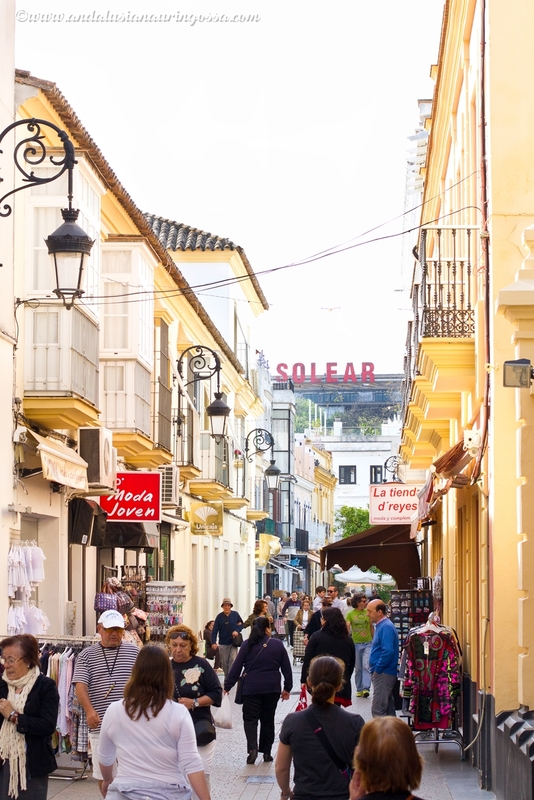 For a sherry tourist Sanlúcar is the most ideal of destinations - apart from a couple of exceptions all town's tens of bodegas are conveniently located in the city centre. In here you're never more than a couple of minute walk away from the nearest sherry house. 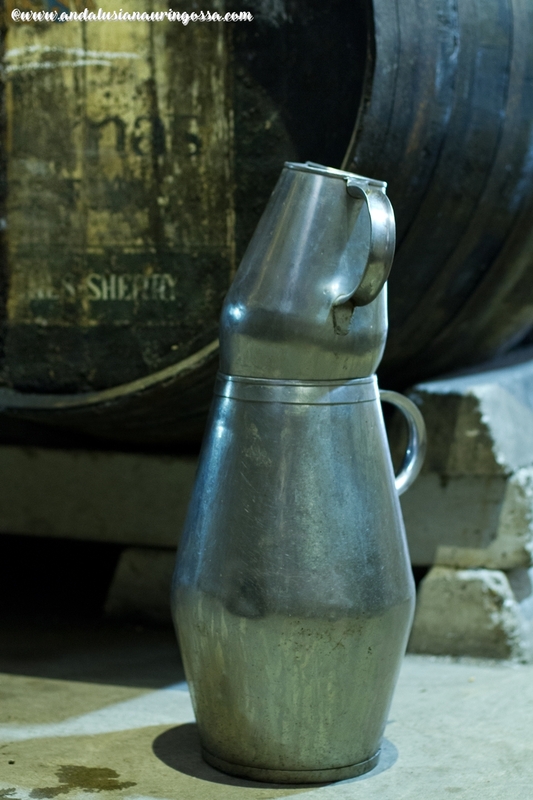 By now you migt have gotten some idea of all the small (and in their peculiarity almost esoteric) details so crucial to the process of sherry-making. Touring the region also quickly teaches, how those tiniest of differences between different towns lend their distinctive signature to the final product. Nowhere does it become clearer than here in Sanlúcar de Barrameda - home of Manzanilla. Manzanilla was separated to its own wine region in 1964. It gets its name from chamomille, which this pale, straw-yellow drink's aroma was thought to reminisce. Just like Fino, Manzanilla is made with Palomino grape and ages biologically under flor. 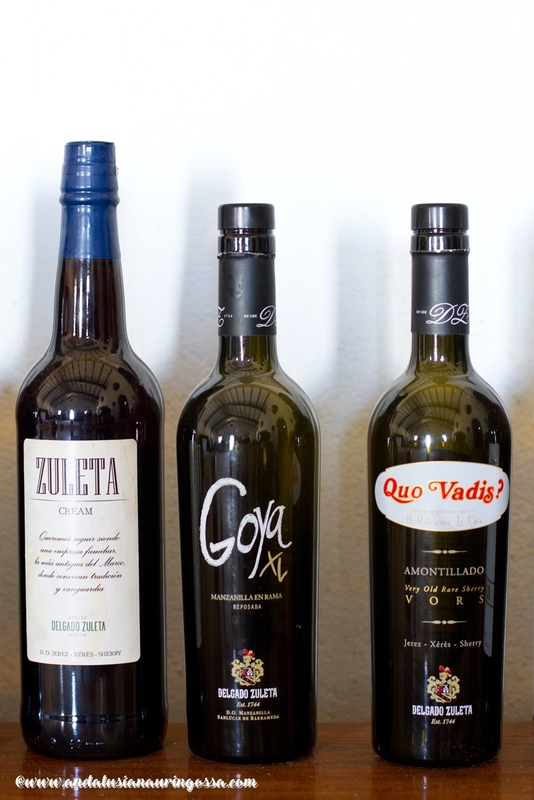 All the Manzanilla is therefore Fino, though not all Fino is Manzanilla. Only Manzanilla that comes from Sanlúcar can be called that. 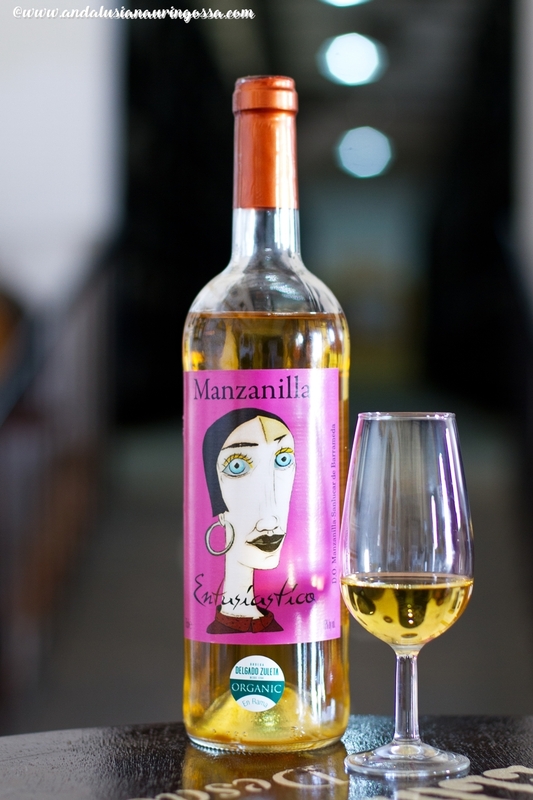 Manzanilla owes its particular, distinctive salty, sea-like aroma to Sanlúcar's location on the shore 0f Atlantic. Sanlúcar's special microclimate contributes to the higher-than-average humidity, which in turn makes flor here thicker than elsewhere in the Sherry country. This lends it a better protection against oxidation. 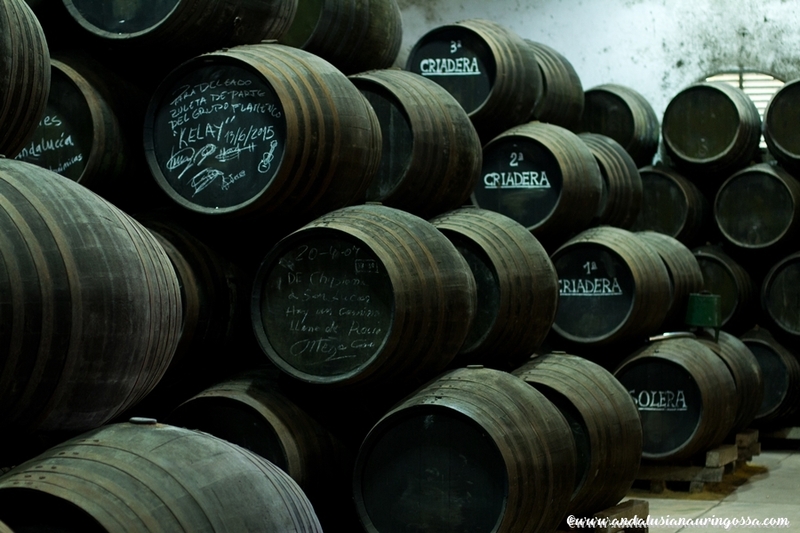 Sanlúcar de Barrameda is also home to the oldest sherry house still in business: Delgado Zuleta. Initially the house went into business as Gil de Ledesma already back in 1744 and has been known by its current name from the late 19th century. That spelled the beginning of significant growth which was further accelerated by the royal warrant awarded to Delgado Zuleta by the Spanish Royal Family. In 1978 Delgado Zuleta merged with another traditional local wine house Benito Rodriguez La-Cave, though maintaining its own name. The business is still family owned, their export manager Pelayo Garcia Vergara tells - these days with 9th generation in charge. Their flagship product is La Goya, launched in 1918 and named after the famous flamenco dancer (and apparenly a cheerful winelover) Aurora Jauffre's stage name. Ties with the royal family have remained close - current King Felipe chose this very Manzanilla to be served at his 2014 wedding. The process of moving the bodega, previously housed in several sites around Sanlúcar, into its current location started in 1986. Decision was not easy as moving the old botas (barrels), no matter how carefully you try to minimize disturbing the irrepleacable content. After leghty and careful analysis it was decided that the new location and circumstances )direction of the wind, altitude from the sea level, the Albariza-terrain guaranteeing enough moisture...) was perfect for ageing Manzanilla. The process itself was equally lengthy: in whole the relocation took a whopping 16 years. 90 percent of the production is Manzanilla and in making of that the right cellar conditions are all the me crucial, Pelayo points out. Sherry is a premium product, he reminds. Ageing takes longer, resulting in lower stock . This is why the number of bottles released into the market are always smaller than with regular wine. Export has so far been rather limited as well, but is on the rise. Most important destinations are UK, Holland and Germany. The decreased popularity sherry has faced in the recent decades hasn't gone unnoticed here either. "Younger generations had no interest in drinking something their grandparents drank", Pelayo estimates as one of the reasons behind the decline. "These days however the emphasis is on quality"
Sales are back on the rise again; something Pelayo believes is the result of sherry's newly-found fame in the world, courtesy of sherry bars that have been popping up in New York and London. Another reason is the fact that the general trend in wines continues to favour drier and drier varieties. As a third reason he mentions gastronomy and the way foodies have discovered sherry's versatility when paired with food. 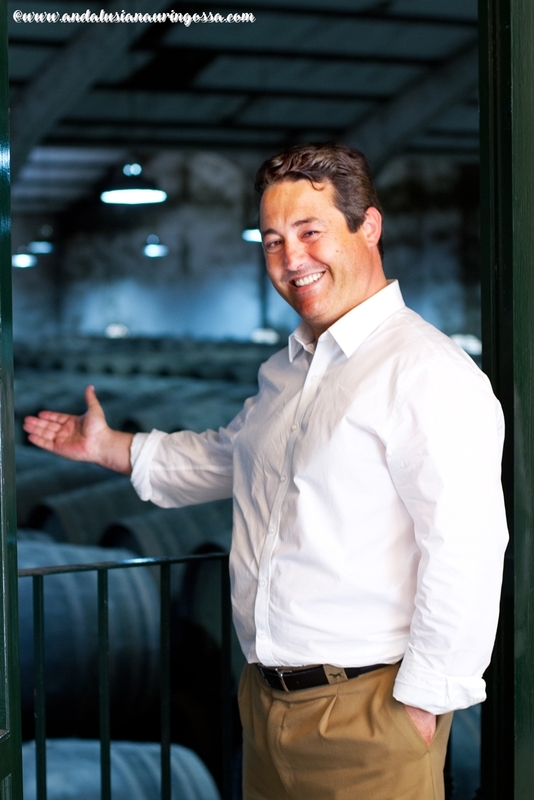 His own personal favourite is Manzanilla with oysters - a classic combination for a reason. According to Pelayo restaurants still have a long way to go. He feels they still don't quite know how to promote it as organically and prominently as they do with regular wines. "That's what sherry is after all - wine!" he sighs, his voice echoing exasperation. "The serving temperature matters, as does the type of glass sherry is served in. Those thimble-type ones should be discarded straight away! 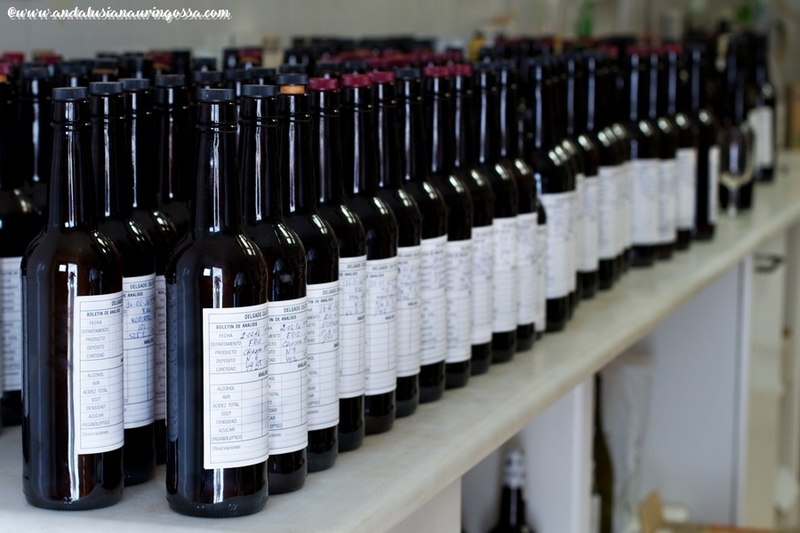 They don't do justice to sherry's aromas and in them the wine warms far too quickly". While it might be a bit too early to talk about sherry's Reneissance, the direction it's headed is nonetheless promising. According to Pelayo the niche market has seen the influx of new, small sherry houses as well - something he welcomes with open arms. "They are doing their own part in raising sherry's profile again", he explains. As he thinks about different scenarios for the future of sherry Pelayo mentions specialization and brings up single vineyard-varieties and focusing more on old premium sherries such as VORS and VOS. "Sherry is reserva in itself, so different vintages don't really constitute similar selling point", he ponders and admits it works both for and against sherry. 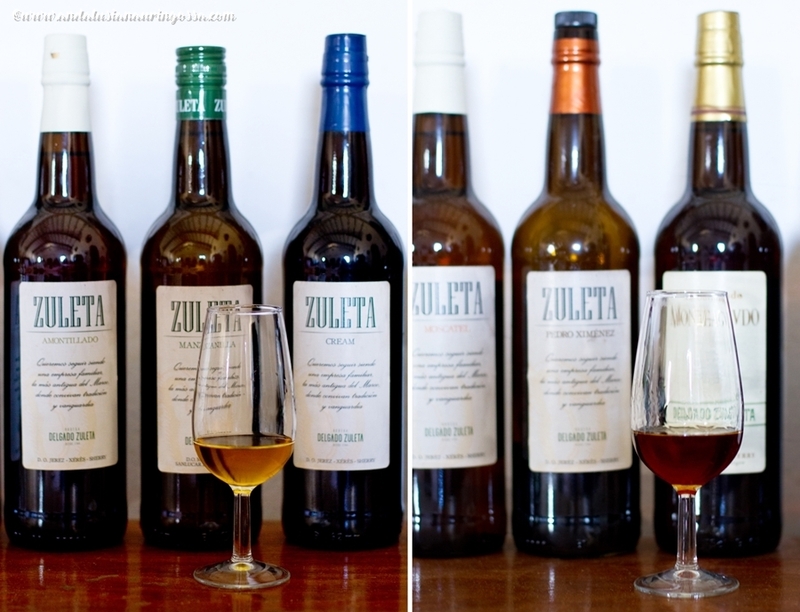 Specialization is something Delgado Zuleta is more than equipped to talk about: the house has just launched world's first organic sherry that I get to sample mere weeks after its premier in London. They hope it's deliberately chosen wine-like image and packaging will generate interest and help reach new generations of sherry aficionados. The wine itself is a premium Manzanilla, aged in old La Goya barrels. 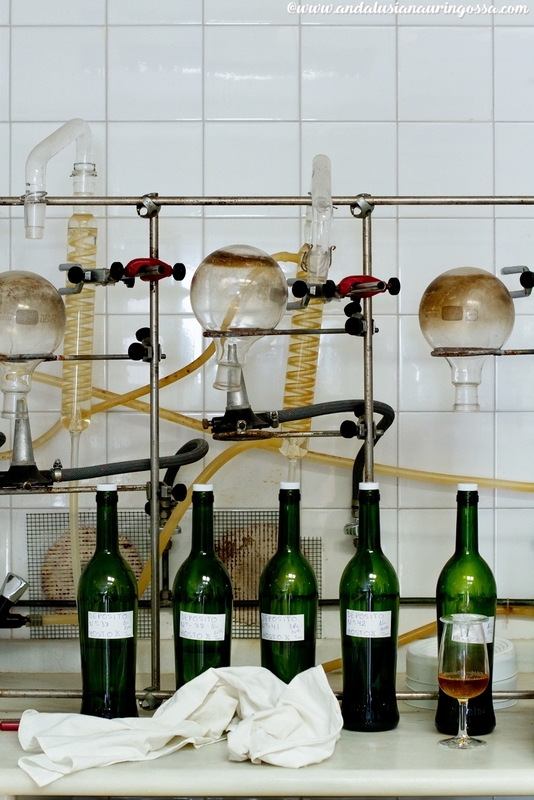 Its manufacturing process follows the tradtional Solera method with its criaderas, but both the single vineyard grapes and the distillate used to fortify the wine are organic. This is a premium product in every sense of the word - the first batch was only 1200 bottles. While you can taste the youth, Entusiastica proves to be an intriguing experience. Wine has some clear Manzanilla elements (the delicate saltiness), but its ripe fruitiness and gentle toastiness it definitely has wine-like quality more pronounced than you'd expect, at the same time echoing dry artisanal ciders, too. 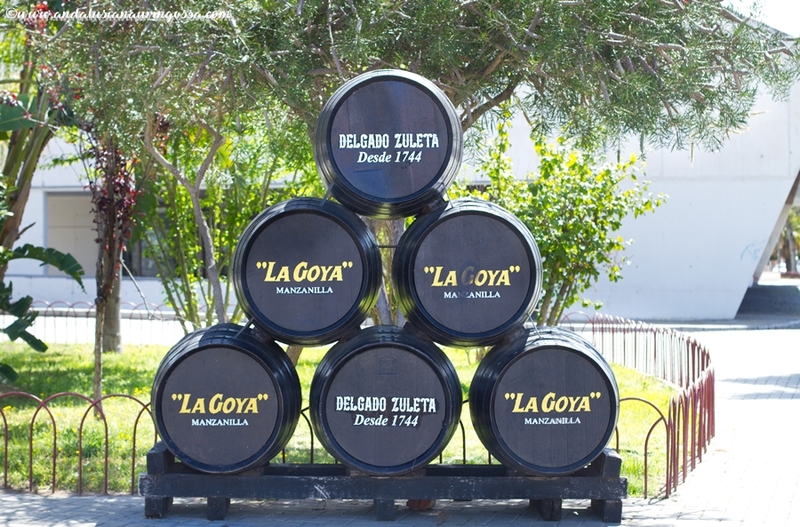 Delgado Zuleta's own soleras are used for two Manzanillas (La Goya and a 12-year-old La Goya XL launched a couple of years back) and one Amontillado (Viejo Zuleta). 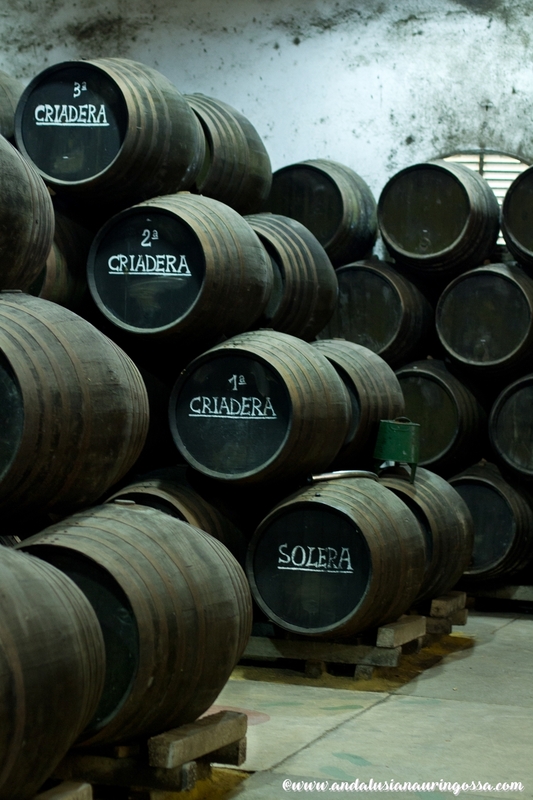 Rest of their sherries come from either Rodriguez La-Cave soleras, joint soleras or their blends. On the nose there are notes of sea so typicalfor Manzanilla) along with toastiness and yeastiness, courtesy of flor. Taste itself is dry, echoing citrusy notes and dried fruits, leaving a slightly bitter after taste. More evolved and refined than the previous. Notes of chamomille are more prominent in this one, as are notes of walnuts and almonds. Long taste which finishes off with briny bitterness. Dry, salty nose leads to dry, yet fruity and concise taste which displays features of both biological ageing (nuttiness) and darker notes typical for oxidation. This brings you the kind of complexity and elegance you'd expect from a VORS sherry. Concentrated dried fruit, nuttiness and oaky notes of vanilla pave the way for a long finish. Warmth, dried fruit and sweetness balanced by spicier, more acidic notes such as liquorice. Long, generous finish.